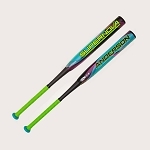 Discount Anderson Bats - Free Shipping! Founded in 1996, Anderson Bat Company immediately was a hit when they introduced their first multi-wall bat with patented Power-Arch technology. They brought the prototype to a baseball tournament and after trying it out, everyone wanted one! Since then, Anderson Bats' mission has been to be the leader in bat technology. 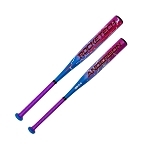 They produce a variety of single and multi-wall softball and baseball bats for every type of ball player - little league, college or professional. Get your hands on an Anderson bat and you'll never want anything else. The balance, weight and power are the best in the game!